The Google search results page has gone through many changes in the past few years from changes to the AdWords layout (Link to Google Changes blog post) to the information carousel to Google Maps and the local listing three-pack. One of the changes that has been more and more prevalent in search results is the Google Featured Snippet (also called the Google Rich Answer Box). What is this box that is getting a lot of territory on the search results page? How can your content get chosen to have a featured snippet? What is a Featured Snippet or Google Answer Box? The Google Featured Snippet is an informational box at the top of the search page that displays a short answer or description to your search query. The snippet displays a small bit of content or an image from within one of the pages ranking on that search engine result page (SERP), so the searcher does not have to click directly to the page or scroll through a long article. These have been appearing for a while for event listings, recipes and maps, but now they are appearing more for general search terms. The answer box is located in “position zero” (or the very top) on Google search results. The boxes drive traffic to your website, increases brand awareness and help to build your customer base. How does content get featured in a Google Answer Box? There really is no specific “Golden Rule” detailing how to make it happen. There are many suggestions, of course, but ultimately, humans, yes, humans determine who will get that prime search engine landing page real estate. However, with more answer boxes appearing in search results, it will be increasingly important to optimize content so it could get chosen for placement. Below are a few suggestions to help optimize the content on your website to increase the possibility of getting that elusive answer box. If the content is very broad and covers topics that many other sites have covered then it might not get featured in the answer box. 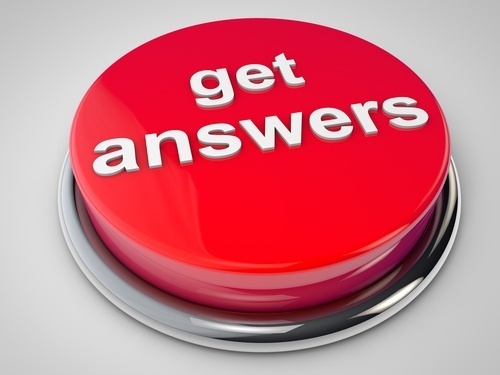 The key is to have targeted information that will answer a specific query from the searcher. It all comes down to quality content for the website from homepage information to blog posts. Direct an answer to a question in your content. The most important is: "How to". Have that phrase in the content, in the title of the content, meta title, meta description and in the headers of the content. Readers should have a good experience on both the desktop and mobile versions of your website. The content should be organized and easily accessible. Google likes to see bullet points and numbering systems in content and titles. Perform keyword research to see if you are choosing the correct keywords for how users are searching. Optimize the content with question-based keywords that you can find in Keyword Planner or by suggestions that Google automatically generates when doing a search. Use SEO best practices such as on-page optimization, technical SEO tactics, internal and external linking. For an additional SEO boost, use schema markup on the pages. This allows Google to identify semantic entities within the source code of your website. The most important thing to remember is that Google likes relevant and organized content. It is crucial to combine SEO best practices, keyword research and most importantly relevant, targeted content in order to help you obtain better search engine ranking. Making sure that your content is properly optimized will help consumers find your website and ultimately convert by asking for a quote or sign up for your email list.